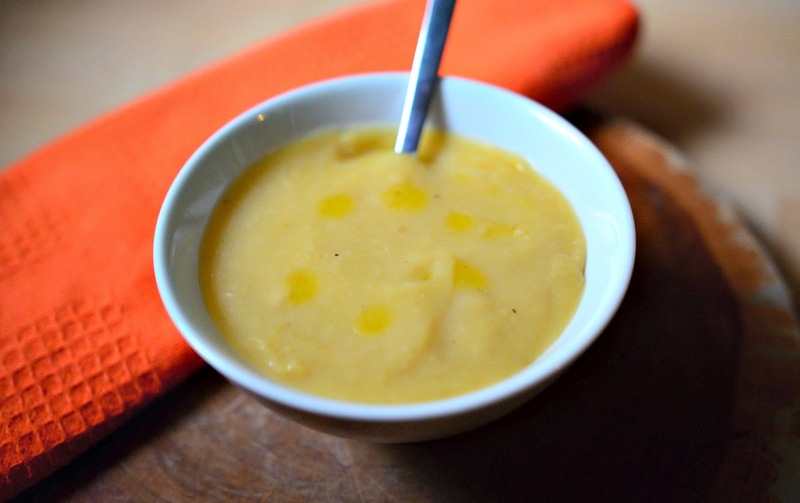 Don't you just love a good creamy soup? 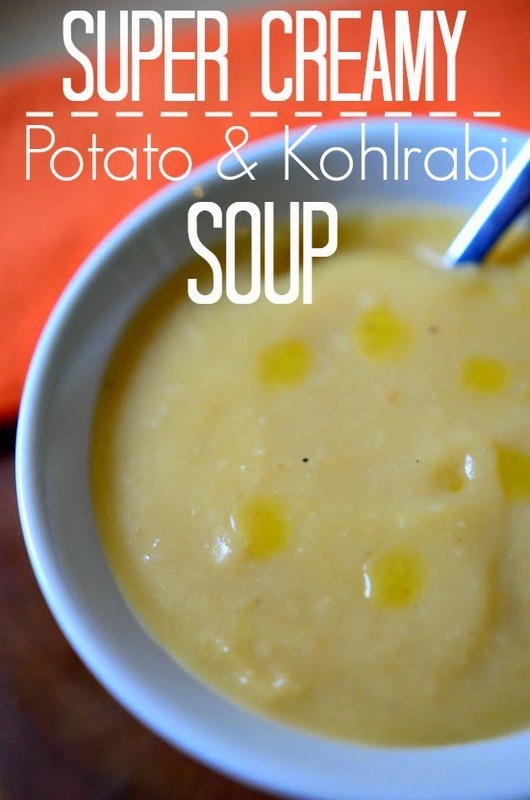 This potato and kohlrabi soup is so creamy, so flavorful and so warming that you'll be craving it all fall and winter long. I've had it for two meals in two days, and I'm already counting down the days until I can make it again. 4. That's how many days until my next CSA pickup. Image by Ted Major posted in its original form, and used with permission through Creative Commons. It's like a cabbagey turnip, and can be intimidating if you've never worked with it. We've tried roasting it, grating it into salads, adding it to stir fries, etc, but were completely uninspired until we decided to soup it. 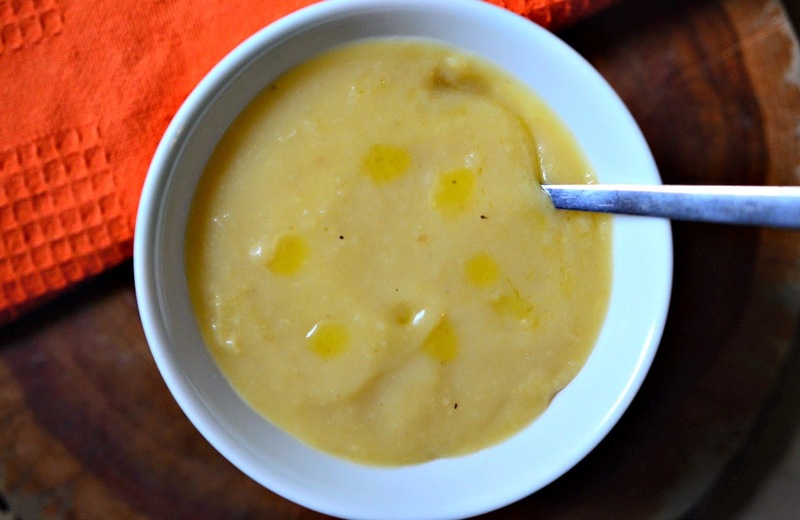 In August Vegan Miam shared a recipe for Vegan Cream of Kohlrabi, and my mind was completely blown. It had never occurred to me to soupify the darn thing. I've kept that post in my mind knowing that I was going to need the inspiration once kohlrabi season hit. 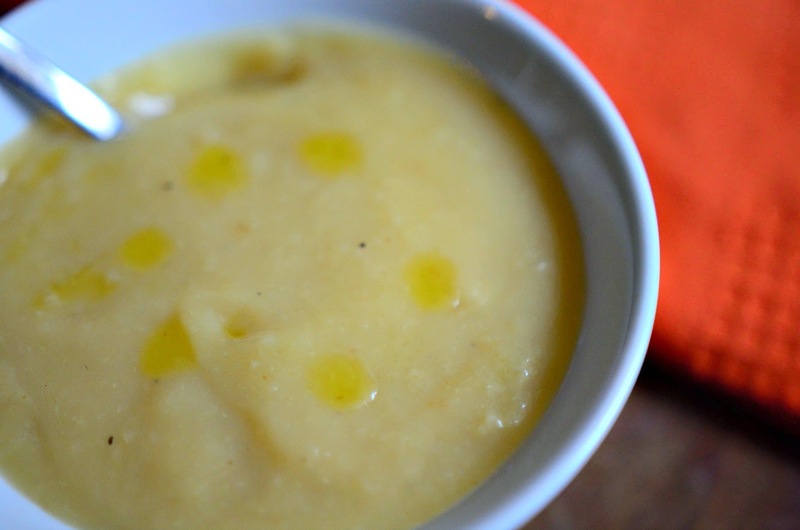 Well, kohlrabi is currently abundant and yep, it shines in soup. No longer will I trade out my kohlrabi for something less crazy. This soup converted me into a full fledged fan. 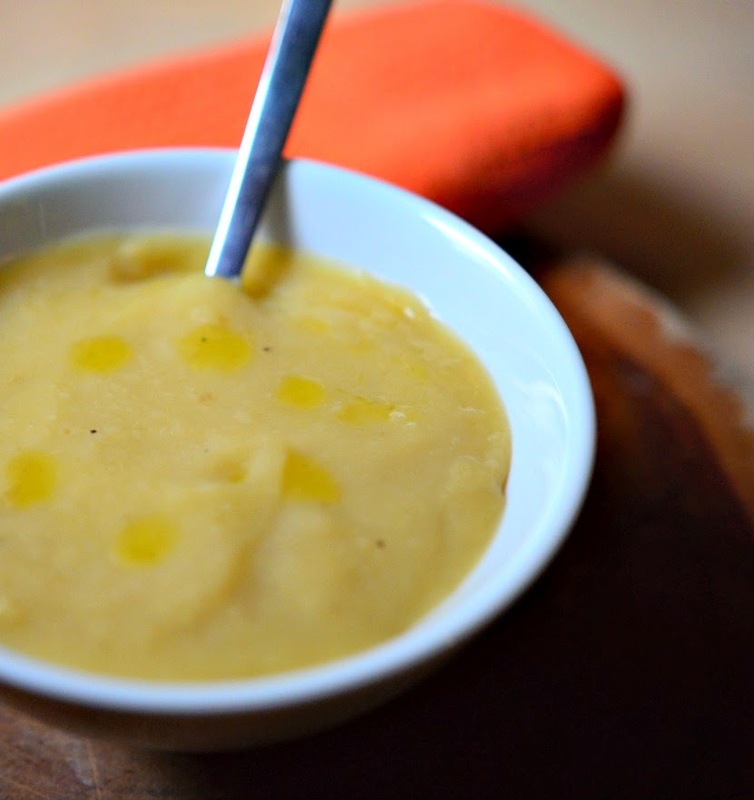 It gives the soup an earthiness that's unique and beyond delicious. You could serve this as a starter if you'd like, but we ate it as a meal paired with focaccia. It was satisfying in every way. 1. Preheat your oven to 375 degrees. In a large cast iron skillet or baking sheet combine the onions and oil, and put them in the oven to roast. At 15 minutes add the garlic and give the whole thing a stir. Continue roasting - stirring every 10 minutes - until the onions are deeply golden brown (but not burnt of course). 2. Meanwhile, peel the kohlrabi and potatoes. Cut them into half inch chunks, and add them to a large pot with a large pinch of salt. Cover the vegetables with water and bring them to a high boil. Boil until the potatoes are tender enough for a fork to pierce through easily. 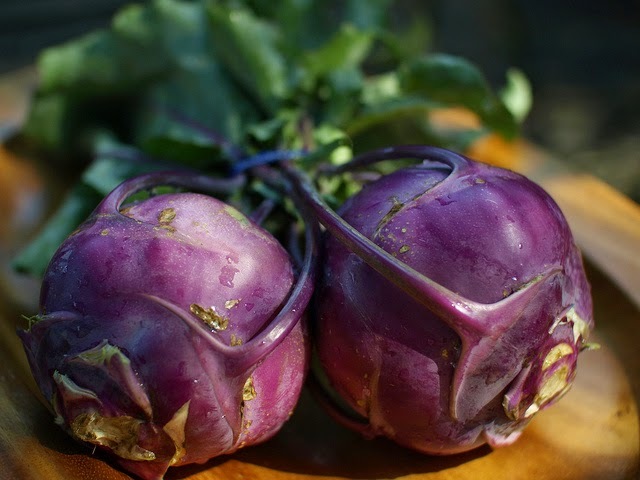 The kohlrabi might still feel a bit hard, but it's ok.
3. Drain the vegetables and put them into your blender (or back into the pot if using an immersion blender). Add the roasted onions and garlic, and blend until the vegetables are completely pureed. Add the broth, and blend to incorporate. 4. If using a standing blender pour the puree back into your pot. Add salt and pepper to taste, and reheat over medium heat if need be. We drizzled ours with homemade oregano oil, but it's not necessary.